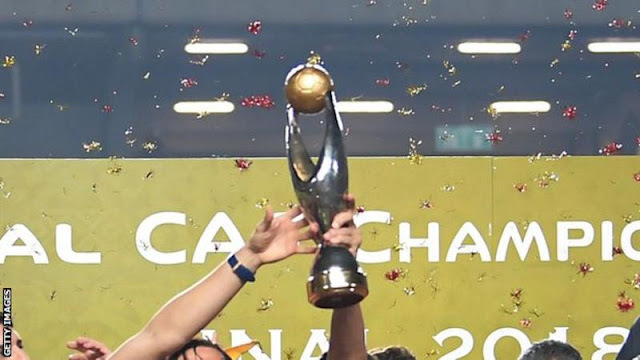 Egyptian club Ismaily SC have been reinstated to this year's African Champions League after a successful appeal against their expulsion. Last month, the Confederation of African Football (Caf) disqualified Ismaily after crowd trouble brought an early end to the Egyptian club's home game with Tunisia's Club Africain. The match was called off in stoppage time after parts of the crowd threw water bottles and stones at an assistant referee and Africain players. Club Africain were leading 2-1 and both teams and officials had to be protected as they left the pitch. On Sunday, Ismaily's lawyer Nasser Azam confirmed that the club's appeal had been accepted by African football's ruling body. "Today we - the Ismaily delegation - were in a hearing and Caf accepted the club's appeal so we are now back in the African Champions League." Caf confirmed their decision to reinstate Ismaily, saying the appeal was successful because there was no pitch invasion and they could not establish whether there had been "aggression against the visiting team." Two clubs from each group qualify for the quarter-finals, with CS Constantine of Algeria and TP Mazembe of the Democratic Republic of Congo the other two sides in Group C.
Egypt were chosen last month as replacement Cup of Nations hosts after Cameroon were stripped of hosting rights due to poor preparation and security concerns.